I’m back with another layout I created for my family for Christmas. This one was for my sister. She’s younger than my brother and I (did I mention we’re twins?) by 7 years, and is still my little sis. I call her Chickee all the time. Not sure where the name came from. This time I remembered to take a quick photo before I put it behind glass. 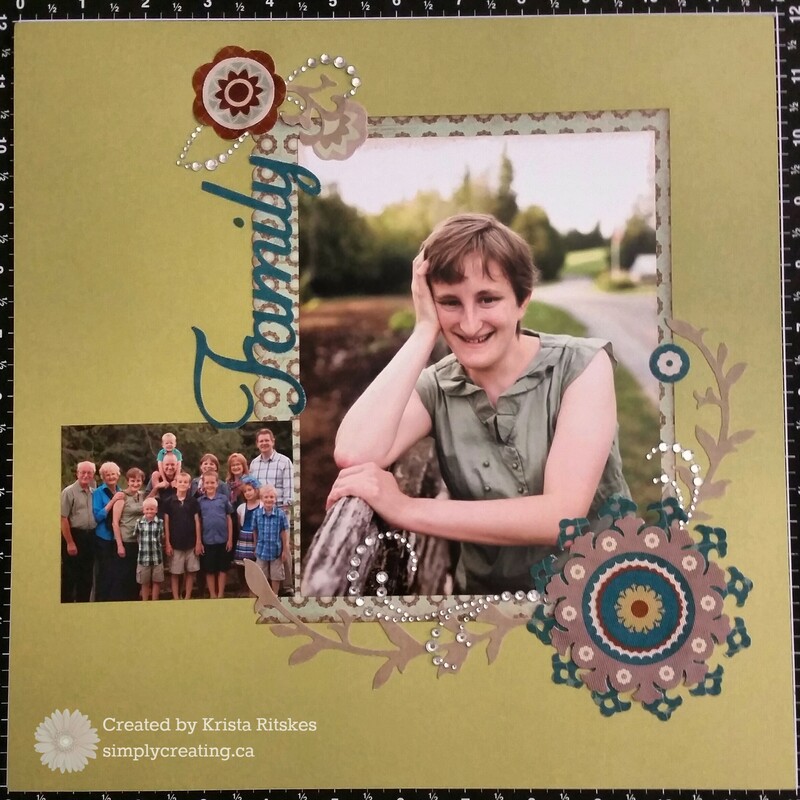 I love the way the Avonlea paper and matching embellishments highlight the colours in the photos so well. I used only one sheet of paper, which I edged on one side with CTMH’s scallop edge punch. The rest of the items are from the matching printed canvas stickers and sparkle flourishes. I sponged the edge of the patterned paper with chocolate ink. Very simple layout, but I chose to keep it that way so the photos would shine. What special photo will you choose to highlight next?